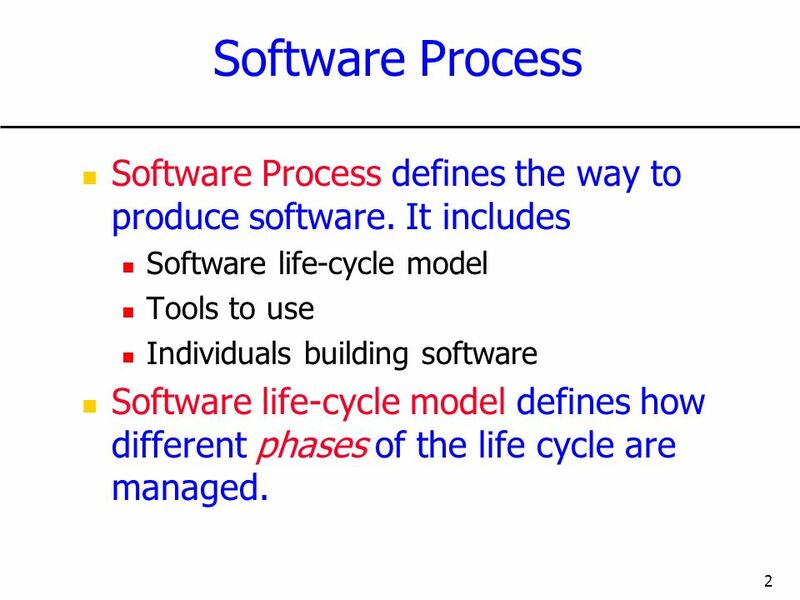 2 Software Process Software Process defines the way to produce software. 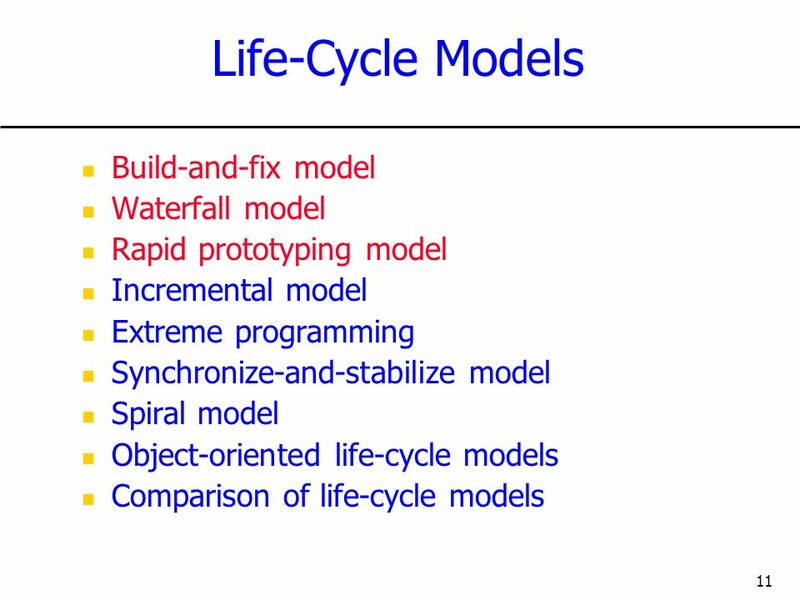 It includes Software life-cycle model Tools to use Individuals building software Software life-cycle model defines how different phases of the life cycle are managed. 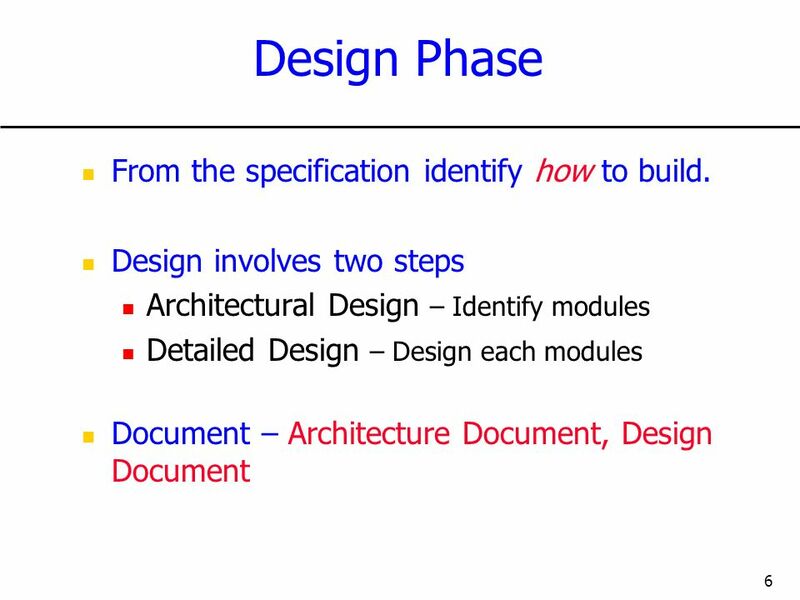 6 Design Phase From the specification identify how to build. 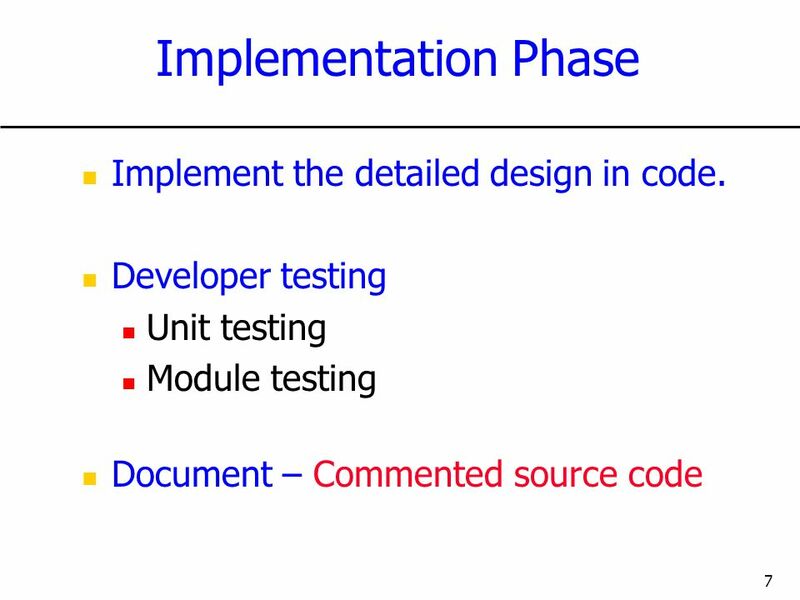 7 Implementation Phase Implement the detailed design in code. 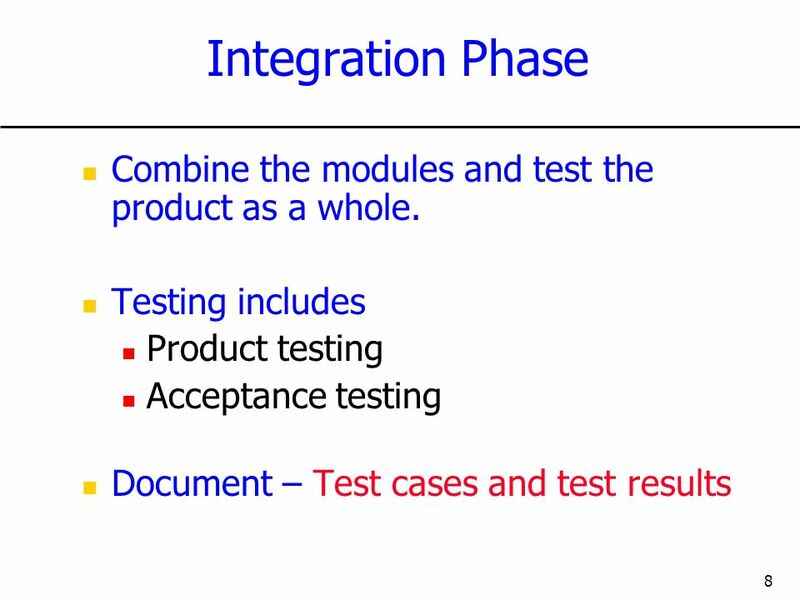 8 Integration Phase Combine the modules and test the product as a whole. 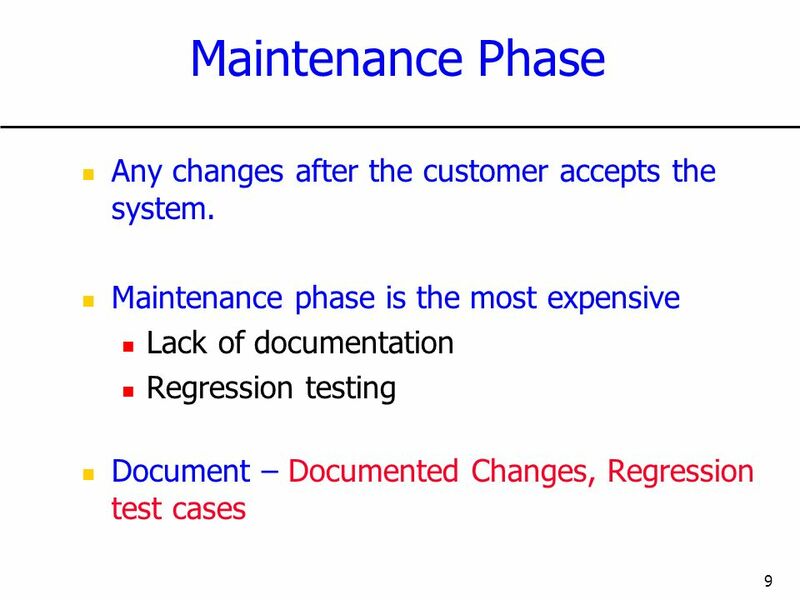 9 Maintenance Phase Any changes after the customer accepts the system. 15 Notes Output from one phase is fed as input to the next phase. One phase is completed, documented and signed-off before the next phase begins. 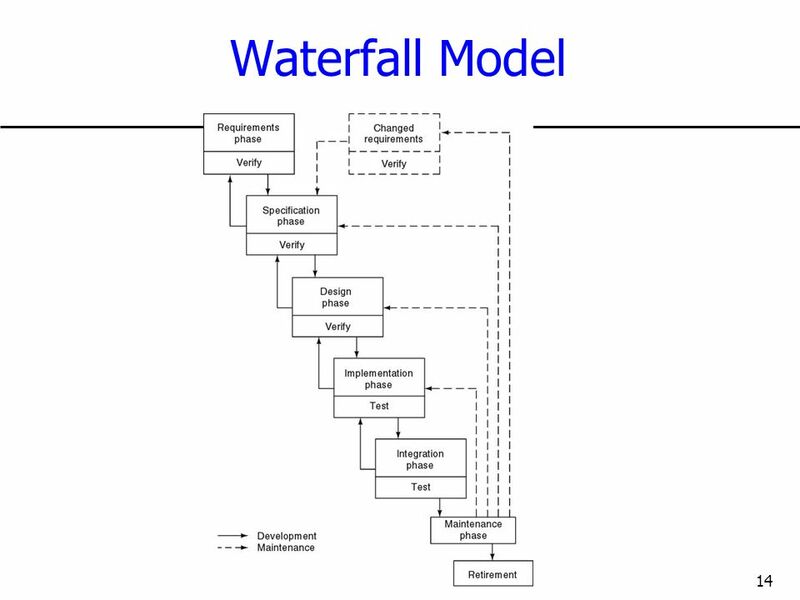 Advantages Each phase is well documented. Maintenance easier. 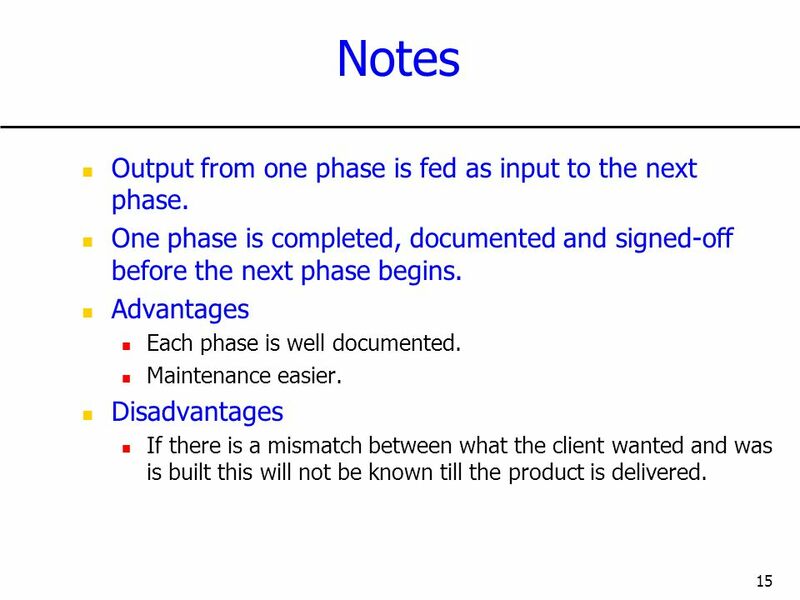 Disadvantages If there is a mismatch between what the client wanted and was is built this will not be known till the product is delivered. 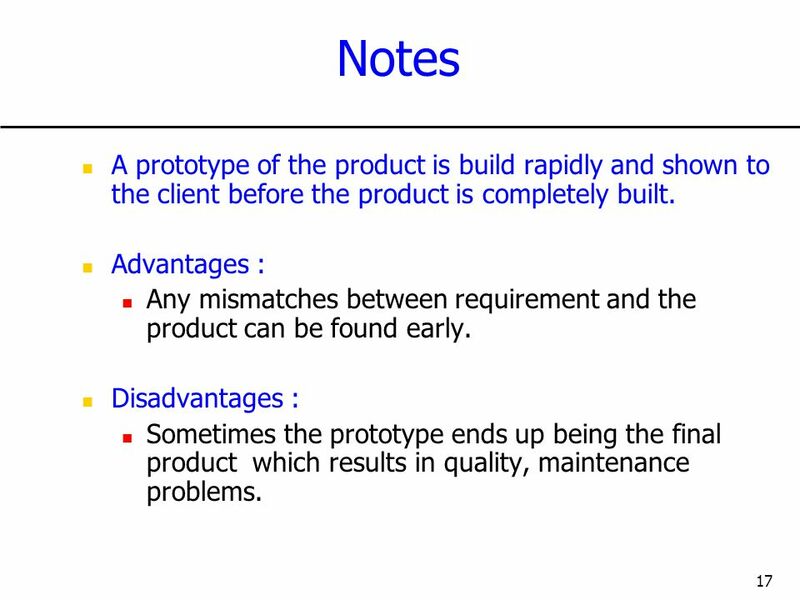 17 Notes A prototype of the product is build rapidly and shown to the client before the product is completely built. 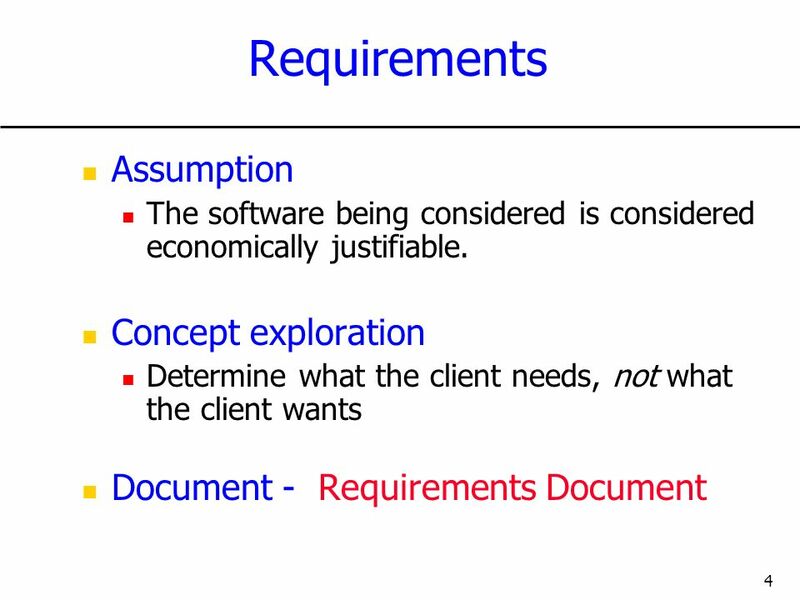 Advantages : Any mismatches between requirement and the product can be found early. 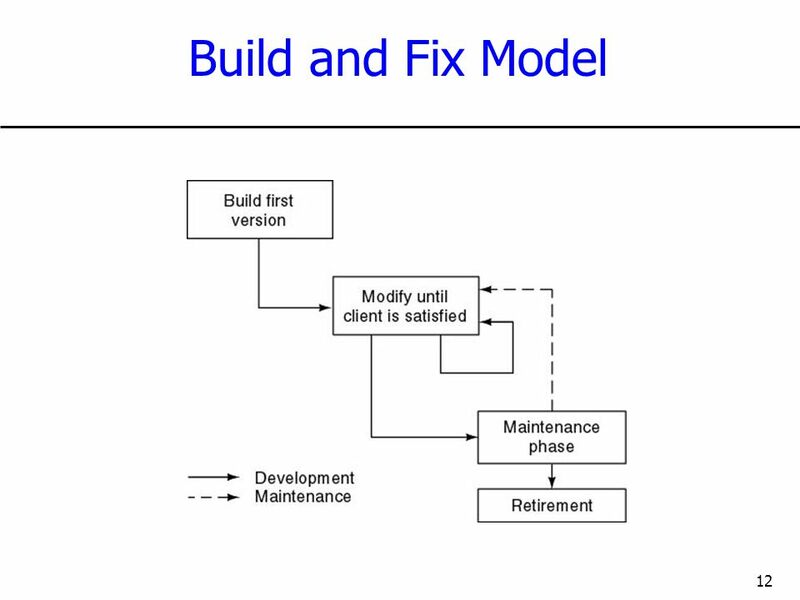 Disadvantages : Sometimes the prototype ends up being the final product which results in quality, maintenance problems. 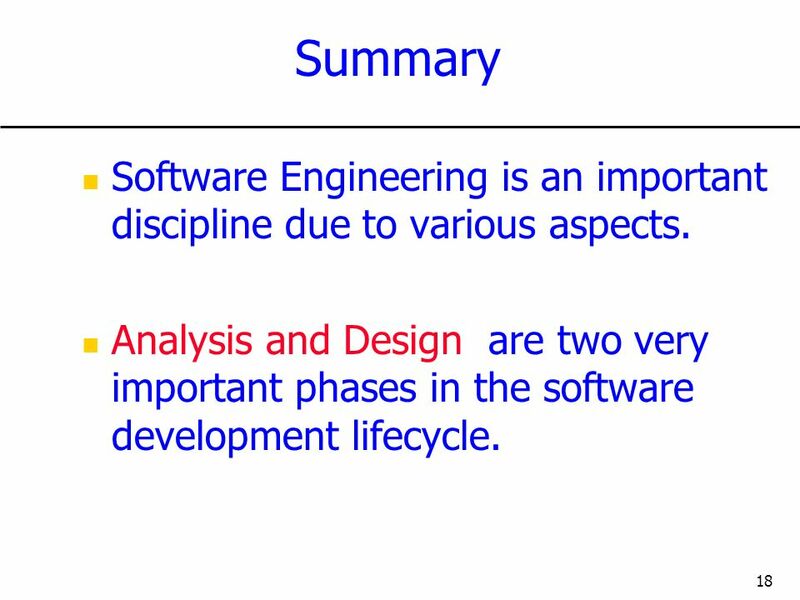 18 Summary Software Engineering is an important discipline due to various aspects. 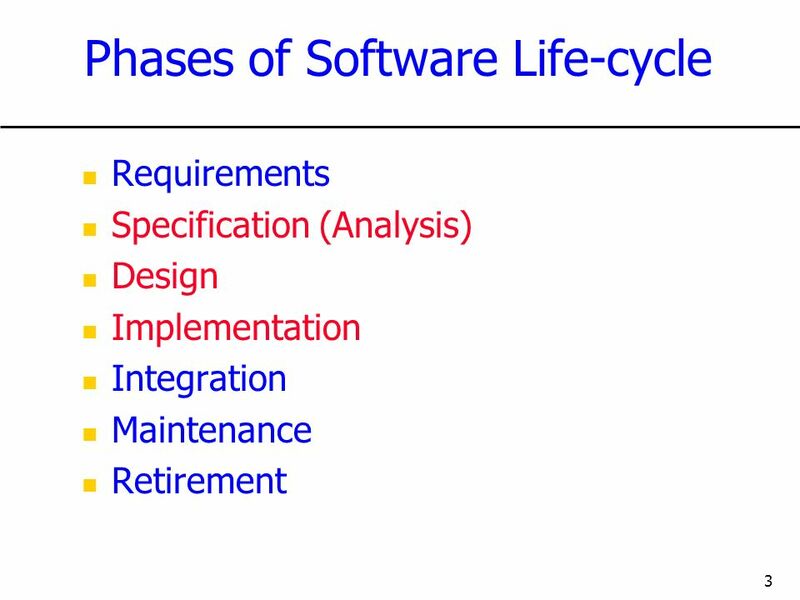 Analysis and Design are two very important phases in the software development lifecycle. 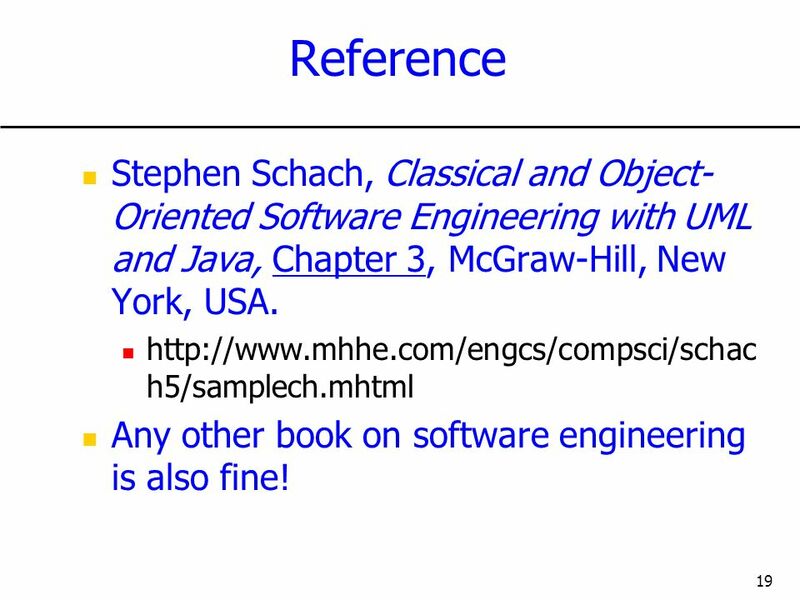 19 Reference Stephen Schach, Classical and Object-Oriented Software Engineering with UML and Java, Chapter 3, McGraw-Hill, New York, USA. 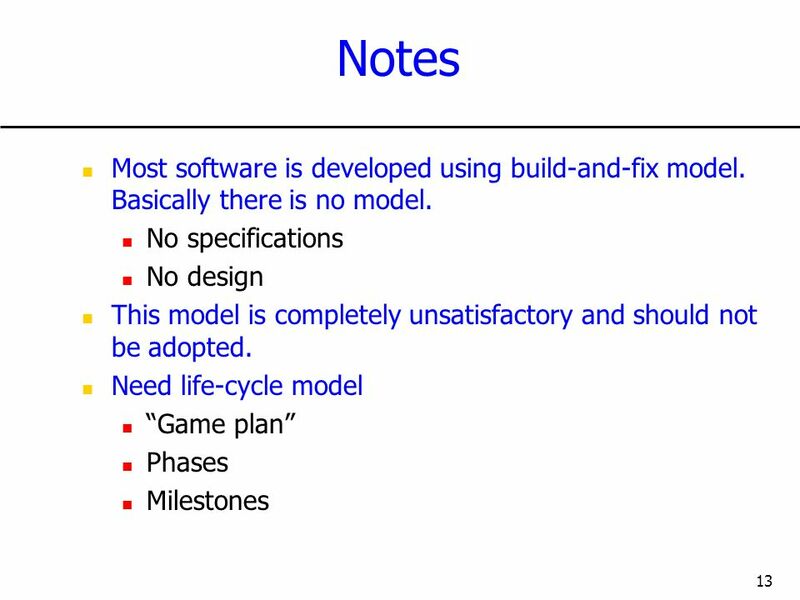 Any other book on software engineering is also fine! 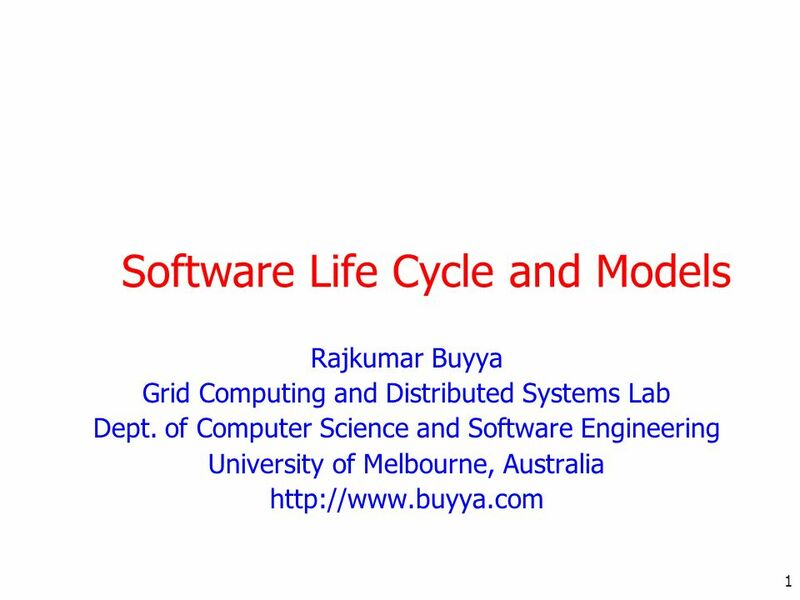 Download ppt "Software Life Cycle and Models"
1 Introduction to Software Engineering Rajkumar Buyya Grid Computing and Distributed Systems Lab Dept. of Computer Science and Software Engineering University. 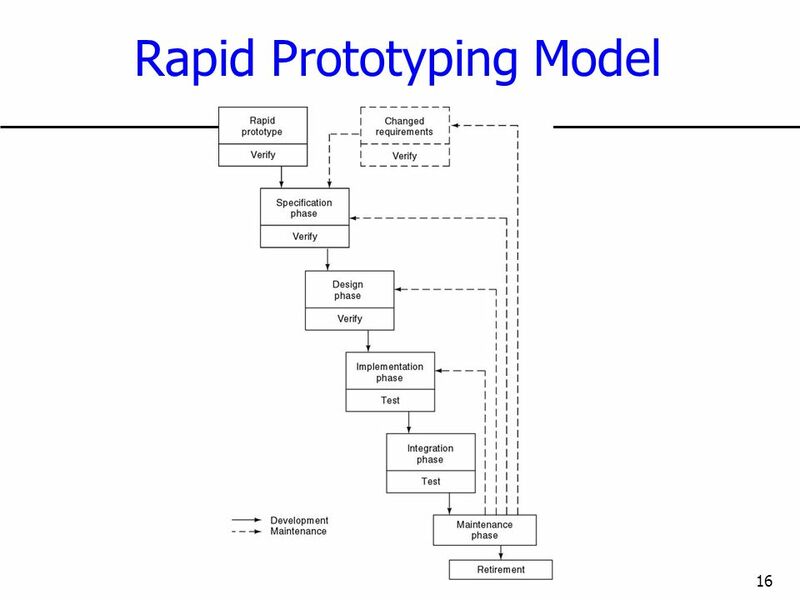 1 433 – 254: Software Design Rajkumar Buyya Grid Computing and Distributed Systems Lab Dept. of Computer Science and Software Engineering University of. 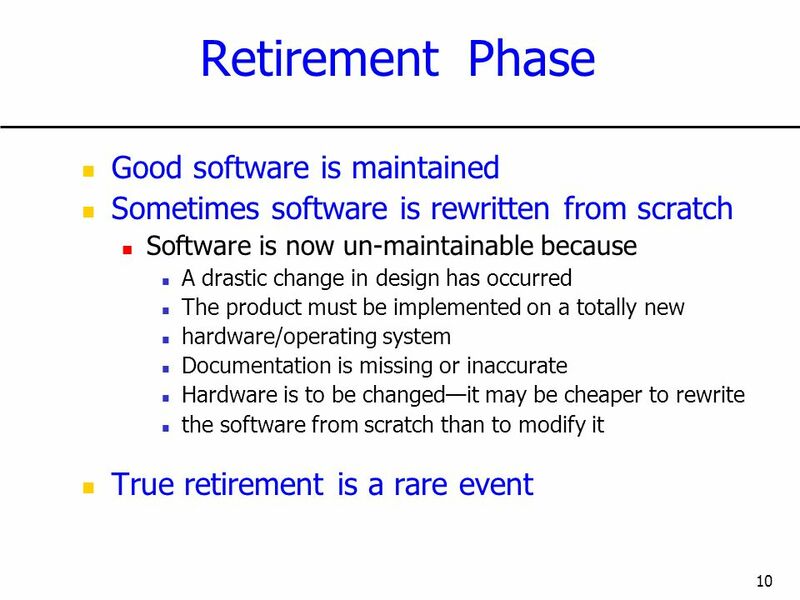 System Development MIS Chapter 6 Jack G. Zheng July 18 th 2005. 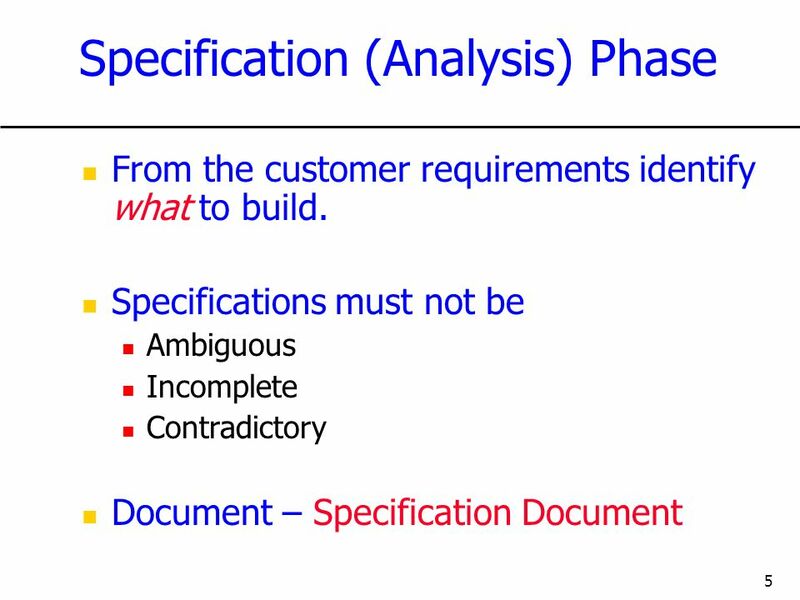 1 9 Moving to Design Lecture Analysis Objectives to Design Objectives Figure 9-2.